Losing a loved one to a workplace injury or accident is a nearly unendurable tragedy. One event, one moment, has the power to change the course of your life forever. The attorneys at the law office of Fraulob-Brown understand the scope of your loss and how your normal existence has been turned upside down. They want you to know that in this time of sorrow, the law is there to protect you. If you’ve lost a loved one due to injuries that they suffered because of a workplace accident, you may be entitled to workers’ compensation benefits. These benefits are there to give you and your family the financial security that you need during this difficult time. Our attorneys will use their experience in workers’ compensation law to obtain every benefit to which you and your family are entitled. AM I ENTITLED TO WORKERS' COMPENSATION DEATH BENEFITS? California’s workers’ compensation law specifically provides death benefits to the dependents of a worker who has died as a result of a workplace accident or injury. The close members of the deceased worker’s family, including his or her spouse and children, are considered dependents under the law. In general, a worker’s dependents fall into two separate categories – total dependents and partial dependents. Total dependents are those family members who totally depended on the worker for care and financial support. Partial dependents are those family members who partially depended on the worker for care and financial support. Certain family members of the deceased worker are automatically considered total dependents. These include children of the worker under the age of eighteen, as well as children of any age who are physically or mentally handicapped and are unable to earn a living. In addition, the worker’s spouse is considered a total dependent if he or she earned less than $30,000 per year in the 12 months prior to the worker’s death. Other members of a worker’s family will be considered total dependents on a case by case basis. If the person was a full-time member of the worker’s household, or was related to worker by blood, marriage or adoption, and relied on the worker for full financial support, they will be considered a total dependent. For example, an elderly parent of the worker or the worker’s spouse who resided in worker’s house and depended on the worker for full financial support is considered to be a total dependent. In general, any member of the deceased worker’s family who is not a total dependent will be considered a partial dependent, as long as they relied on the worker for a percentage of their total financial support. For example, if a worker’s spouse earned more than $30,000 in the 12 months prior to the worker’s death, they would be considered a partial dependent. Typically, those who qualify as dependents are entitled to two types of benefits – burial expenses and death benefits. Let’s take a look at each of these benefits in turn. The deceased worker’s employer paid into a worker’s compensation insurance policy or they were self-insured. This insurance company is required to pay all reasonable expenses related to the deceased worker’s burial. However, there is a maximum limit to the amount of expenses the insurance company is responsible for. At the current time, this limit is $10,000 for injuries that occurred after 2013 and $5,000 for injuries that occurred prior to 2013. The amount of money that the dependents of a deceased worker receive is determined by the amount of total dependents that are entitled to benefits. If there is a single total dependent, that dependent will receive $250,000 in death benefits. If there are two total dependents, those dependents, as a group, will receive $290,000. If there are three or more total dependents, they will receive $320,000, again as a group. Usually, death benefits are paid out over time on a periodic basis until the maximum award amount has been reached. At no time can the amount of these weekly payments be less than $224 per week. Partial dependents are treated differently than total dependents. To begin with, in order for partial dependents to recover there has to be no total dependents or, at most, a single total dependent. This is because the law recognizes that total dependents are more vulnerable than partial dependents to the financial effects of the death of a loved one due to a workplace accident or injury. In a situation where there are no total dependents, the loved ones of the deceased worker who are partial dependents will receive four times the amount of annual support that they received from the worker. In a situation where there is one total dependent of the deceased worker, the results are similar. The individual who is a total dependent will receive $250,000 and the individual who is the partial dependent will still receive four times the amount of annual support that he or she received from the worker. Once all the above payments have been made, the minor dependents of the deceased worker will still receive periodic payments. The amount of these payments will be the same as amount of the worker’s weekly temporary disability rate had they lived. In no case can this amount be less than $224 per week. The payments are split evenly among all the decedent’s minor dependents and will continue until the last of the dependents turns eighteen years of age. Should any of the dependent’s children be disabled and unable to earn a living, the payments will continue throughout the remainder of that child’s life. If you’ve lost a loved one due to a workplace accident or injury, you need a competent workers’ compensation attorney working for you, actively defending your right to the benefits that you deserve. 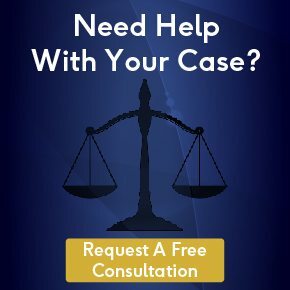 Here at the law office of Fraulob-Brown we have the experience in California’s workers’ compensation law necessary to see your claim through to a successful conclusion.